THE president of the European Commission, Jean-Claude Juncker, likes to compare the euro zone to a house in need of repair. Fix the roof, he counsels, while the economic weather is favourable. Leaders from across the European Union will have the opportunity to take that advice when the European Council meets in Brussels on June 28th-29th. 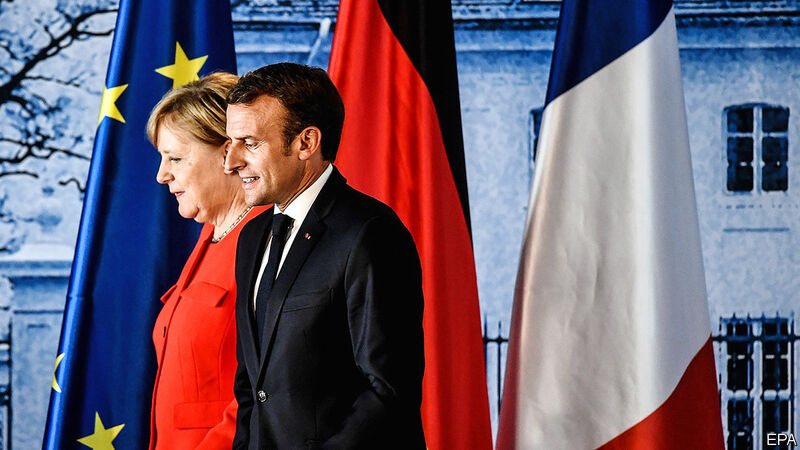 In preparation Emmanuel Macron, France’s president, and Angela Merkel, Germany’s chancellor, laid out joint proposals for reforms on June 19th. The result of weeks of ministerial negotiation, they reconciled long-standing differences on the future of the currency bloc and set the scene for discussion at the wider summit. In a victory for Mr Macron, the Germans have consented to a euro-zone budget. In other areas, notably banking reform, progress is likely to be halting.